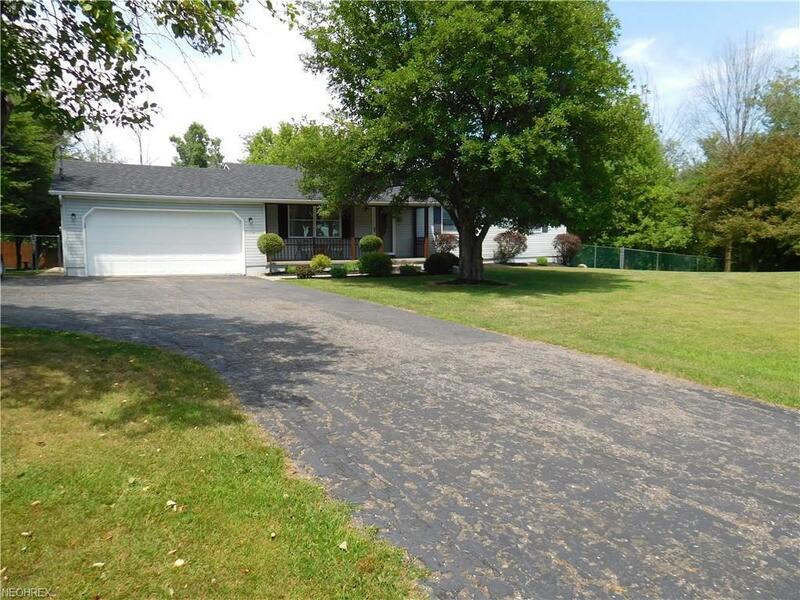 Updated Price Welcome to this custom built ranch that sits perfectly on its own hill running down to an absolutely beautiful 5.08 acres with two outbuildings. Half of the property is fenced in with newer chain link fence and the other wooded area is fenced with posts and wire keeping its land private. Extended driveway for extra parking or more room for the basketball hoop installed. Front of the home offers a front porch with custom built railings leading to decretive glass front door. All windows and entry doors are high grade Anderson products. Entering the front door leads to enclosed family room with sliding doors entering to the rest of the home. Pet free home with beautiful wood floors to match. Oversized family room that offers wood burner for those winter months if needed, sliding doors leading to wrap around deck overlooking the beautiful land. 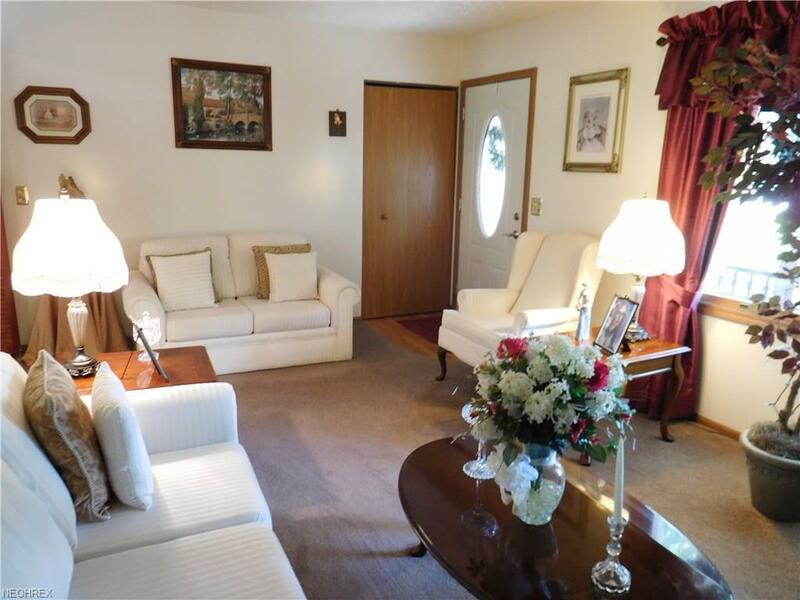 Three bedrooms with ceiling fans upstairs and two baths, master bath does have a jet tube. 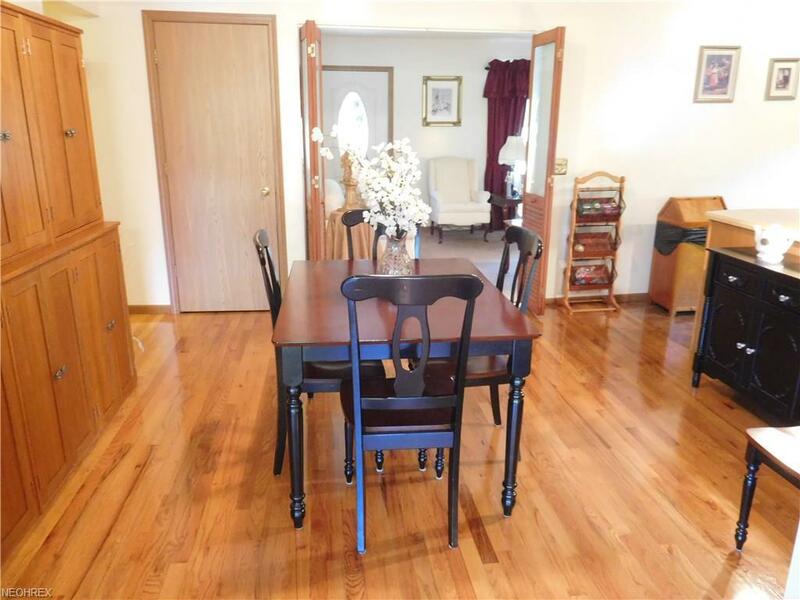 Take note this full size basement is absolutely perfect for the in-laws, guests or even renters with a full kitchen, full bath, one large bedroom with walk in closet, two offices or extra rooms, one large rec room leading to its walk out, and plenty of storage. 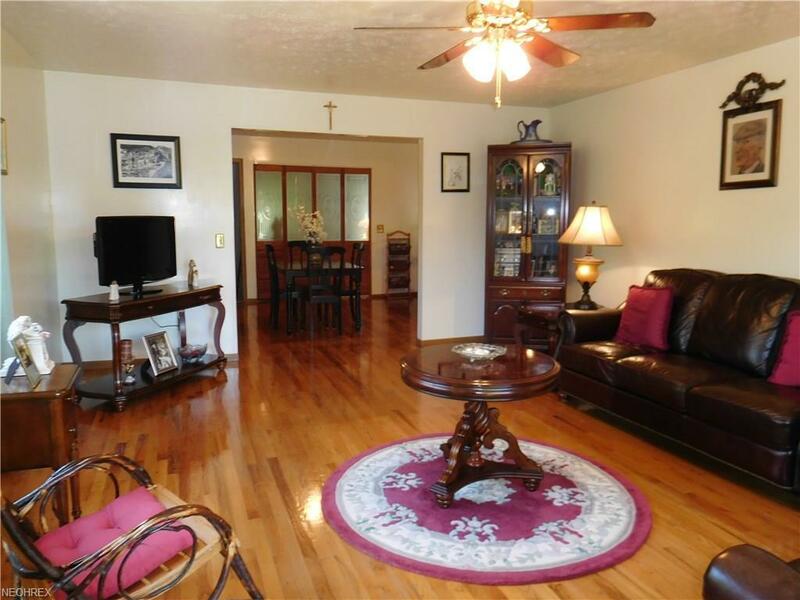 Very well maintained home with plenty of updates, roof 2014, furnace and ac 2013 and much more. Come check out this home and view the property and see for yourself how it feels like being at this country feel destination everyone will love! Call today! Listing courtesy of Re Closing Professionals, Llc.. Listing provided courtesy of Re Closing Professionals, Llc..